The Garden Studio is situated in a large and well established home garden with easy access to Auckland downtown and the beautiful Manukau Harbour. Villa Maria Vineyard and the Mangere Arts Centre are nearby with the Mangere Bridge village 1 mins walk away with supermarket, bank, post office and many eateries.Both train and bus services are close by, with a trip to CBD taking about 20 mins. Airport pick up is available if you are flying in. Lovely garden Good spot for 2. Had a lovely but far too brief stay at the studio. Had a lovely but far too brief stay at the studio. Loved the secret garden feeling. 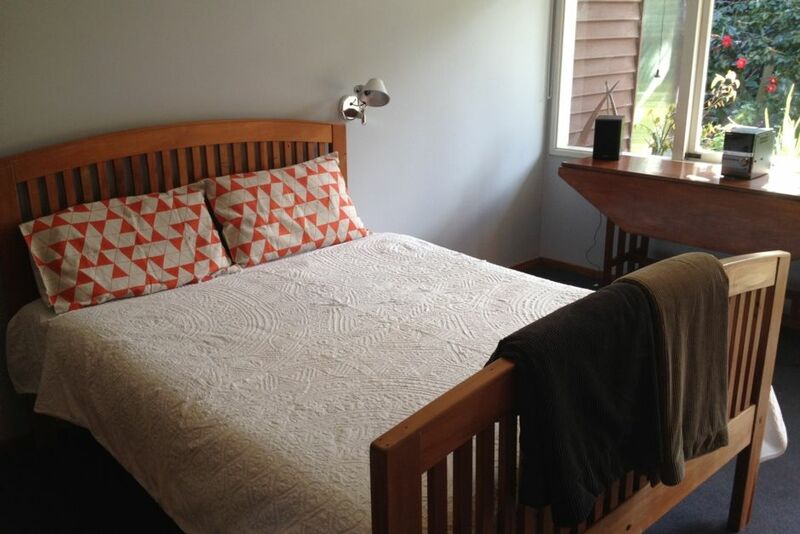 Very convenient location, both to Mangere Bridge village and the airport. Studio had everything we needed. It was a really quiet and relaxing setting and close to the airport. It was a really quiet and relaxing setting and close to the airport. Beautiful gardens and a character house. I would stay there again.